It's a common lament that the media, meaning mostly the TV stations, are caught up in unceasing, sensational ABQ crime coverage. The old cliche "if it bleeds it leads" is almost as well known around here as the stations' call letters. Our self-talk about security is very devastating, Not that it doesn’t exist. Not that you don’t report on it, but it sure seems to me that we emphasize it in great measure perhaps more than what is good for us. --The city has never suffered a crime wave that lasted this long. --ABQ has been ranked first in the nation for auto theft, and among the national leaders in violent crime. --We had a record setting year for homicides last year and many have another this year. --Legions of city residents say they no longer feel safe and voice their concerns on the TV newscasts. That's news because that has really never been the case here. --City fathers have failed to provide for the safety and security of the citizenry. On that last one Campbell can give thanks that the media has been keen to give a pass to elected leaders, but that could be changing. The news coverage can be dispiriting but in this case reflects reality, a reality that won't go away with less coverage, but only when our elected (and appointed) officials fully confront and resolve the crisis. Director Campbell can plan on that. P.S. We wonder if Mayor Keller feels the same as Campbell about there being too much emphasis on the city's crime wave? By her own account the likely newest member of the NM House will be an "artificial redhead." 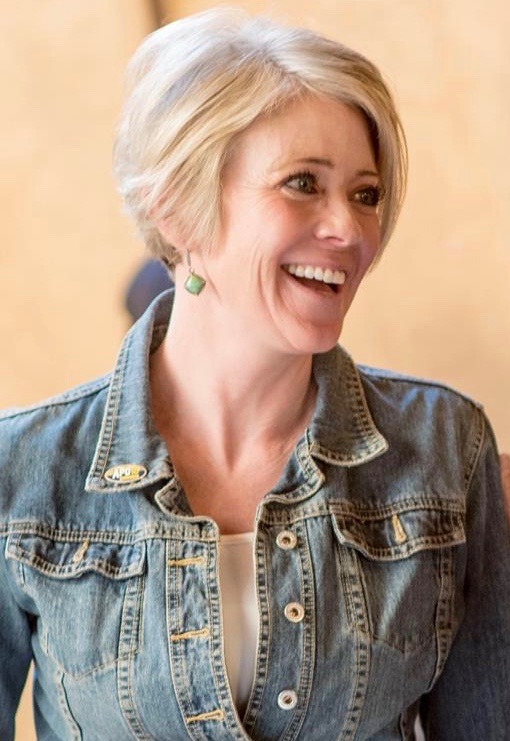 Republican Merritt Hamilton Allen was selected this week by the BernCo Commission to fill the East Mountain House seat left vacant by the resignation of Rep. James Smith who was appointed to the BernCo Commission by Gov. Martinez. The Governor will have to approve the selection of Allen for the House seat but that should be a cinch considering she is the daughter of 84 year old former GOP Silver City State Rep. Dianne Hamilton. Merritt entered the Navy as a (real) brunette via the NROTC program at the University of Notre Dame, worked overseas, in recruiting, and with military healthcare. In her last Navy assignment, she managed all environmental, medical, and personnel issues on the Navy’s National News Desk. She also ran the Department of the Navy’s media training program. 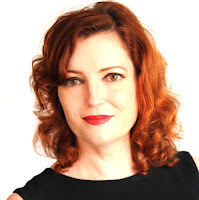 Medically retired from the Navy after serving eight years as a public affairs officer, Merritt built several strategic communication teams as a contractor before forming Vox Optima in 2005. 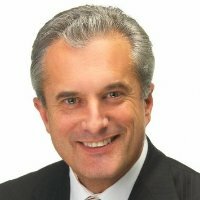 Allen, 47, is seeking the House seat in the June primary. She has a Republican foe but will be heavily favored if, as expected, the Governor appoints her. She would face a Dem foe in November but this seat is all red all the time. And that's not the artificial kind. Joe, I see that you mentioned the election of Marg Elliston as the new Dem party chair at last weekend's State Central Committee meeting in T or C, but the bigger news is the approval of our state's first progressive caucus: Adelante Progressive Caucus. Forming the caucus and moving toward approval was a year-long effort by a relatively small group of progressive Dems from across the state. We now have close to 300 statewide members. “Adelante” is a Spanish word that means “move ahead” or “go forward.” The new caucus will work to move the Democratic Party forward by attracting and recruiting people who have been historically under-represented in the democratic process, to implement a small-donor fundraising model in the state party, and to create more transparency and accountability in the state and national parties. New Mexico continues to improve early childhood education but the improvements are baby steps for only a tiny fraction of our infants. Home visiting (HV) is the program that science and randomized studies say yields the biggest bang for the buck for both the children and the state. Last year only 4,500 infants received home visits. The 2018 Legislature expanded HV by $1.5M so that for FY 19 4,800 will get home visits. This is less than 5% of our infants, the overwhelming percentage of which are born into poverty and would benefit most from the program. Here are the stats: NM has 27,000 births per year, 82% of which are Medicaid qualified. HV is a prenatal to 3 program meaning that approximately100,000 babies (3 X 27,000 + 14,000 for prenatal) are eligible. 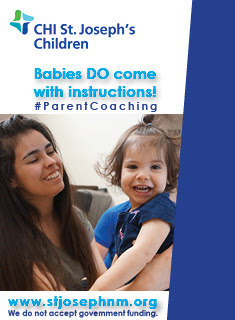 So, yes, its good that 300 more infants will receive home visits in FY 19 but just under 80,000 will not and many will enter kindergarten more than a year behind their more advantaged peers. Most of these children then proceed to fall further behind, unable to read properly or perform 3rd grade math, and receive either an inadequate high school education or drop out. They then form families and the next cycle of poverty begins. This despite the existence of our $17.5 billion Land Grant Permanent Fund that is set aside for education. This makes no sense and is an obvious waste of much of the approximately $3 billion we are now spending annually on K-12 education. She will "never stop fighting" and "will never give up." That's probably a welcome message to the activist Democrats who will cast votes in the June 5 primary for the 2018 Democratic gubernatorial nomination. But you wonder if Michelle Lujan Grisham, who came with that theme in her first TV spot, may pivot to more collaborative language if she wins the nomination and faces off with Republican Steve Pearce. After all, we've had eight years of Gov. Martinez "fighting" and vowing to never back down and look where that got her. Already the Pearce camp is trying to pigeonhole Lujan Grisham as similar in style and personality to the now unpopular Governor. Come the fall she may turn the tables and accuse him of being a rigid ideologue who never backs down and therefore never gets things done. But for now, with a pumped up Democratic base, she is the one positioning herself as the fighter. After the Martinez years the state may be looking for a Governor who will fight but also put some points on the board via cooperation and building coalitions. If the next Governor turns out to be a Dem the task should be somewhat easier given the party's majorities in the state House and Senate. In her first ad Lujan Grisham leaves policy for later and stresses personal character. With an apparent large polling lead the campaign saw no need for risk-taking or swinging at the fences and there was none. She is careful not to deliver her fighting language in a strident or threatening manner but with a coolness the camera favors. Meanwhile the feisty if under financed campaign of Lujan Grisham's main rival for the nomination, Jeff Apodaca, continues its best to compete at her level. On the day of her inaugural TV they sent Apodaca's wife, Jackie, before the cameras to deliver an emotional 30 second ad on education titled, "Our Kids Are Worth More." It was good optics on their part and for a political newcomer Apodaca took to the camera well. The mother of two teared up when discussing the disadvantages New Mexican children endure compared to other states. It was a halting moment and one the Apodaca campaign hopes will help pause the rush to Lujan Grisham’s side. Apodaca has been up with light TV buys for several weeks. Joe Cervantes is expected to be on the air soon. Republican Pearce should also be seen before primary season concludes. Looking at the three spots released from the leading ABQ Dem congressional candidates our observers, Alligators and wall-leaners say all were serviceable but that former US attorney Damon Martinez had the most to lose and he came through with an ad that was a solid double and maybe a triple. The ad has Martinez, who Trump replaced as US attorney for NM, facing off with him by using clips from the Trump-hosted "Apprentice" show. The two engage in a give and take and it ends with Trump delivering his signature line to Martinez: "You're fired. Go!" Martinez then tells Trump he approved the message so "Mr. President, when I'm in Congress you're the next to be fired." Clever. Martinez has been lagging the two leaders--Deb Haaland and Antoinette Sedillo Lopez--but he's still in it and this ad should help keep him there. By the way, in a PPP poll commissioned by candidate Pat Davis this month, 87 percent of the Dems surveyed did not approve of Trump's performance as president. That full poll is here. Talk about a case of overkill. Senator Martin Heinrich now has a nearly 20 to 1 cash advantage over Republican rival Mick Rich. In the latest federal reports Heinrich is showing over $4 million in cash in the bank compared to Rich's $223,000. 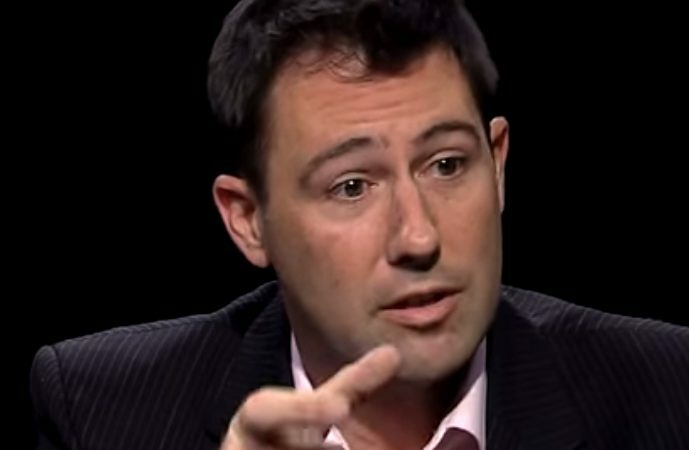 Libertarian Aubrey Dunn, Jr. did not raise money in the first quarter. The race is not being targeted by the national Republicans. However, Heinrich's approval rating is considerably below the 50 percent mark and he will use some of that cash to boost his image heading into his November re-election bid, After he does that, maybe he can single-handedly lower the state's jobless rate by hiring hundreds of New Mexicans to work on his campaign. What better way to use all that loot from the big money guys? I wonder what "a reader" means about UNM's "political will and public support"? We know that it is NM politics that will decide what UNM does about its athletic situation. The "public" in general does not have a role. It will be the "issue specific publics" forming around each sport that will have the greatest influence. Since the decisions will not be made until July that gives support groups for each sport plenty of time to gather forces and resources to pressure the regents and the administration, both directly and indirectly through the media and other means. What specifically was the "black eye" that UNM received when it failed in attempts to eliminate skiing? Idon't recall much negative reaction--just satisfaction by the pro-skiing folks. My guess is that no sport will be eliminated and that the Regents will find other means to deal with the largely financial problems of the athletic department. Or alternatively the sport with the least interest group support and least influential "boosters" may be cut, for show, and resulting in inconsequential minor savings. The Credit Union Association of New Mexico is hosting a Campaign School April 30 with curriculum from the Credit Union National Association to teach leaders how to run a campaign. The campaign school is a non-partisan event with representatives from both parties teaching basic and advanced tactics for running for office and is for anyone who is interested in volunteering on a campaign or running for office. You can register here. The "Puppy" Regulation Commission? Yep. Campaign '18 definitely goes to the dogs with this ad from Dem Public Regulation Commissioner Sandy Jones. He's always looking out for the little guy. He's always sniffing out ways to save money for the consumers. Well, you get the idea. . . This might win the worst ad of the year, or decade. Who did it and did someone actually pay for this? It appears the campaign has gone to the dogs. It's a Great Commercial. Thought you might find this fun to watch - please send it on to anyone you think might enjoy. Terrific or terrible. We'll leave it up to you. Or let your dogs watch it and let us know what they think. Meanwhile, the person most interested in these media antics is former Dem State Senator Stephen Fischmann of Las Cruces. He is challenging Jones for the Dem nomination for the PRC District 5 seat in southern NM. In his April report Jones reported $30,000 in cash on hand. Fischmann reported $5,000. Also watching closely is Republican Ben Hall, who was ousted from the Commission by Jones in 2014. Hall has two opponents but is expected to win the GOP nod. Yeah, it will be a real dogfight if we get a Jones-Hall rematch. Now some tamer TV ads from the ABQ Dem congressional hopefuls that started airing this week. 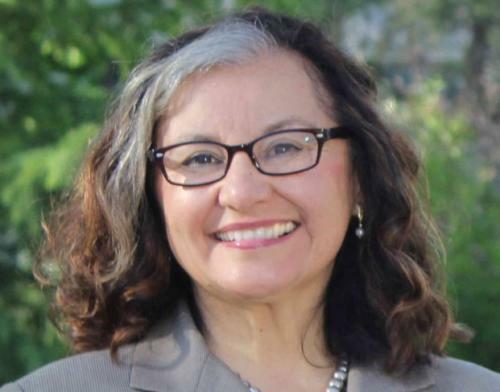 The debut ad for former UNM Law Professor Antoinette Lopez Sedillo is here and the first ad from former former US attorney Damon Martinez is here. 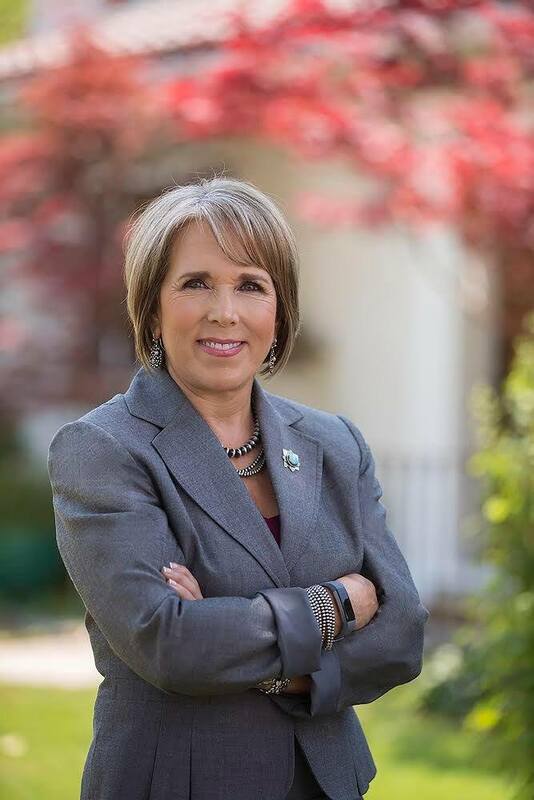 We blogged Monday that Dem Rep. Michelle Lujan Grisham was in the camp of congressional candidate Antoinette Sedillo Lopez and while that is indeed the case, according to an array of insiders, it should be noted that Lujan Grisham has not publicly endorsed any candidate. Dem Guv candidate Jeff Apodaca continues his light TV buy heading into the June 5 primary. For the week starting April 17 he bought about $16,000 worth of broadcast and cable, according to our media watchers. The three Dem contenders for the Guv nomination--Apodaca, Michelle Lujan Grisham and Joe Cervantes--will meet in at least one televised debate. KOAT-TV will host the trio Sunday, May 20 at 6 p.m.
As we mentioned Monday, KOAT will also host the six Dem candidates for the ABQ congressional nomination, but that will be pre-taped and air Sunday. May 20 from 10:30 a.m. to noon. We had it airing in the afternoon. Sure is a lot going on politically in Espanõla: A new gay, Republican mayor shaking things up; newly empowered local leaders consider removing Spanish colonial icon Oñate from, yes, the Española Fiesta; new mayor removes old police chief; Dem State Rep. Debbie Rodella is being challenged in the primary by a progressive woman candidate, Susan Herrera. I don't know if the high school sports administration scene has settled down or not. Or the heroin scene. Rodella is a Roundhouse powerhouse who chairs the House biz committee and the biz interests are out in force to protect her. In her April report Rodella reports $79,000 in cash on hand. Herrera reports $16,000. Joe, last week ended with a 15-year old shot twice and his 20 year old friend murdered in the streets of the ABQ Barelas neighborhood, another 20 year old was gunned down on 98th & Central, then another murder victim was dumped on the doorstep of Lovelace Medical Center near downtown, closing out the week with 3 murders! What's the murder count at? Pathetic! Media reports say there have already been 24 murders in ABQ this year. But, hey, the fountain on Civic Plaza has been fixed! 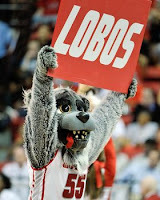 It will be most interesting to see if UNM can actually find the political will and public support to withstand the enormous pressure that will ensue when a final list of sports to be eliminated is announced this summer. Recall that UNM tried unsuccessfully to kill the ski program a couple of years ago. You would think that it would be easy to drop a program with almost no public visibility, two-thirds of its athletes are foreigners (but stellar students), a warming climate and less snow each year at NM resorts, and, most damning, not one single meet was held in New Mexico last year. But no! There were protests, letters to all the papers, and much condemnation in the electronic media, all of which gave UNM a very public black eye. There were important lessons in that experience. I hope UNM learned them. When you correctly referred to Fred as "legendary," I had to smile because it reminded me of a wonderfully tone-deaf headline that ran in the newspaper recently. The story was about Fred being the last living member of the Kerner Commission on Civil Disorders. Those of us who know and love Fred have been calling him "Corrales man" ever since. It's gotten to the point where he does, too. Then he laughs a lot. The 87 year old "Corrales man" still likes to get the last laugh. The most competitive high-profile New Mexico Democratic primary race will move into high gear this week. The three leading contenders in the six person field for the ABQ congressional nomination will put up their first TV spots starting today. But it's not all TV. Sedillo Lopez is the mailing leader, already dropping three pieces to likely Dem voters, with special emphasis on the critical female vote. Haaland and the others will have to play catch-up. Our media watchers report Haaland and Sedillo Lopez will put up TV buys of about $35,000 for their first week. Martinez is coming with a buy in the low 20k area. The other three hopefuls--Pat Davis, Damian Lara and Paul Moya are dark. The race is starting to come into focus and the tension between the campaigns is rising. That's because the stakes are as high as they can get. The Republicans are not targeting the district which means the winner of the Dem primary has a better than 90 percent chance of becoming the next U.S. House member from ABQ. Furthermore, the improving chances that the national Democrats could take back the House from GOP control means a new Dem congressional representative could be in the majority, giving them more power and prestige. Insider polling is starting to trickle in on the race. The primary electorate is seen as more heavily female than past cycles, with a tilt toward older women. That has been reflected in the fund-raising and at the Dem preprimary convention which Haaland and Sedillo Lopez have dominated. It's more difficult for the men. Former US Attorney Martinez has been able to come in third in the fund-raising but fell well short at the pre-primary where he garnered only 10 percent of the delegate support and finished fifth. The Clintonistas are lining up behind Haaland, the former chair of the NM Dem Party who would be the first Native American woman to win a House seat. The Bernie Sanders brigade does not hold up Haaland as one of their faves. Sedillo Lopez is hoping to capture more of their hearts and votes. The current congressional delegation is low key on this one. But outgoing US Rep. Michelle Lujan Grisham, who is running for the Dem nomination for Governor, is firmly in Sedillo Lopez's corner. Can Sedillo Lopez tap into the Lujan Grisham base to pass Haaland? A key question. Martinez once worked for Senator Udall and he is seen as favorable to his former employee but not on the radar with any support. Unlike Martinez, neither Haaland or Sedlillo Lopez has experience on Capitol Hill where billions of dollars for the military and the state's energy complex are divvied up. But the now deep Blue nature of the district has made that experience less of an issue. Likely Dem voters are hungering for a progressive champion, not a centrist. We know of only one TV debate scheduled so far in this six way race--a KOAT/ABQ Journal face-off scheduled for mid-May. However, it will air on a Sunday afternoon. That, combined with so many candidates vying for attention, will make it difficult for it to make a major difference. 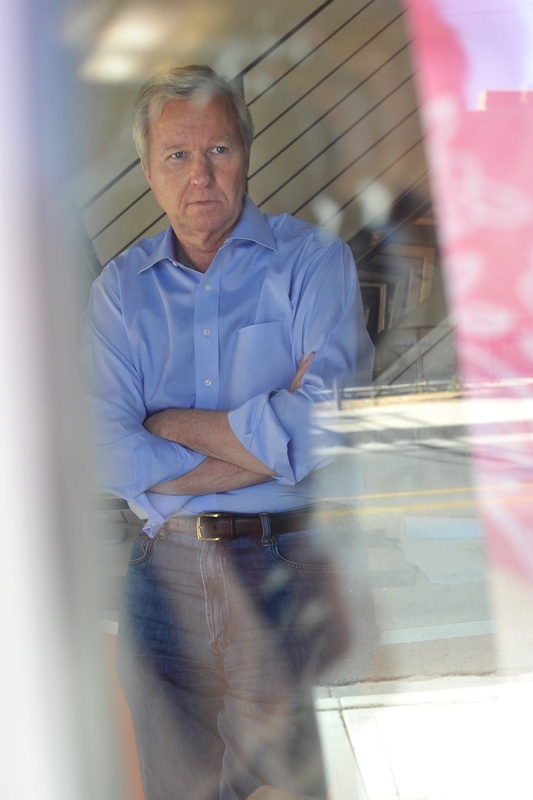 Davis, an ABQ city councilor, has come with a poll of the congressional race that is pretty good news for him, but it may be the last of his good news. He commissioned a Public Policy Polling (PPP) survey that showed Haaland and Sedillo Lopez each with 15 percent of the vote and himself at 11 percent. Martinez had 7 percent. 43 percent were still undecided. The automatic phone poll was conducted April 13-15 among 508 likely voters and has an error margin of 4.4%. Other campaign polling shows Davis has the highest name ID of any of the hopefuls, but also with high negatives. And with only $61,000 in cash on hand in his last report, he is going to have to pull off the major upset by using his sophisticated ground game. The trouble for Davis has been that he is a male candidate in a female year and his association with City Hall at a time when the city has descended into crime chaos is hurting him. Also, he played footsie with former GOP Mayor Berry on the budget and other issues and fellow Dems accuse him of being a Republican collaborator, not the true blue progressive he has been positioned as. And in a staggering blow to his candidacy, Davis, who is gay, was passed over for an endorsement by Equality NM which went with Haaland. Marg Elliston of Corrales, a retired state employee and chair of the Sandoval County Dems, was selected over the weekend as the new state Dem Party chair. She was unopposed for the post and was approved by the Dem Central Committee. She replaces Richard Ellenberg who was forced to resign over how he handled sexual misconduct allegations against Jon Hendry, a prominent union Dem and ally of Ellenberg. Elliston comes aboard at a fortuitous time for the Dems with the odds favoring them taking the governor's office, retaining the US senate seat on the ballot and picking up a couple of seats in the state House. But there's still a long way to go. Elliston is the wife of legendary former US Senator Fred Harris. We said on Twitter that her term runs until the end of the year but it will actually go until next April. Southwest Airlines Co. is providing $5,000 checks and $1,000 travel vouchers to passengers who were on a flight this week when an engine broke apart, killing a woman on board. “We value you as our customer and hope you will allow us another opportunity to restore your confidence in Southwest,” Chief Executive Officer Gary Kelly said in a letter to the customers. Because she was young and the mother of two youngsters the settlement that Southwest eventually reaches with the Riordan family could reach into the $5 million area. Maybe more, speculated one of the Beagles. In a week long period of unofficial mourning over Riordan's untimely death there seemed a near desperation to celebrate the good she performed as a community volunteer and as an inspiration to friends and neighbors, perhaps because ABQ has become such a hub for gloomy news of all sorts. Its quality of life ranking among major metro areas has been sliding for years. Riordan exemplified the opposite and in her tragedy the city sought its own redemption. The crushing crime wave has been so brutal and desensitizing that to insulate themselves the upper strata of city society has enveloped itself in a defensive shroud, as it watches the ghoulish and often unbearable events unfold day after day. Compared to the relatively innocuous past it is a Dantesque Inferno that they not only don't recognize but can't bear to confront. Riordan was not a well-known public figure, appearing only irregularly in the media and never holding elective office. She was most widely known in business, political and philanthropic circles, the very circles so anxious today to have the city seen as it once was in the heyday of Domenici, the Labs and the "Lets move to ABQ!" boom. It's a community now glued together ever more tightly as the pie shrinks and the seemingly insoluble social dilemma here widens. It's a community that rushes to reinforce what's good about the city but has few, if any members, who break ranks and lead a call for action on what's not so good--or actually awful. That approach defined the long 8 years of Mayor Berry who came from that community and who arguably presided over the worst years in the city's modern history. Jennifer Riordan's light shines bright. Now we need leadership with the fortitude and resolve to point that light at the Albuquerque that has been allowed to slip ever deeper into the darkness.